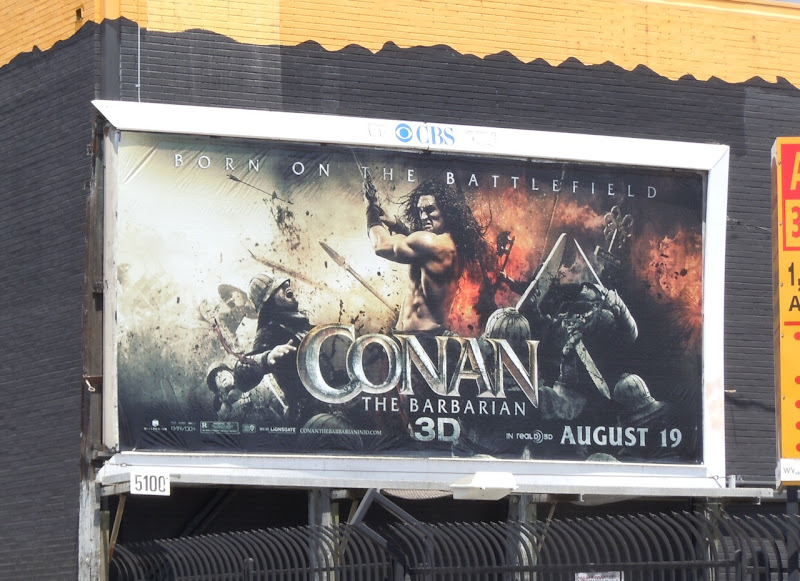 Jason Momoa trades the reins of horse lord, 'Khal Drogo', in Game of Thrones for the sword of Conan the Barbarian in this 2011 remake of the 1982 original starring Arnold Schwarzenegger. The actor certainly has the muscular physique to fill the titular role, but only time will tell if he can live up to the legend of the Cimmerian out to avenge the slaughter of his family and village on a quest across the continent of Hyboria. 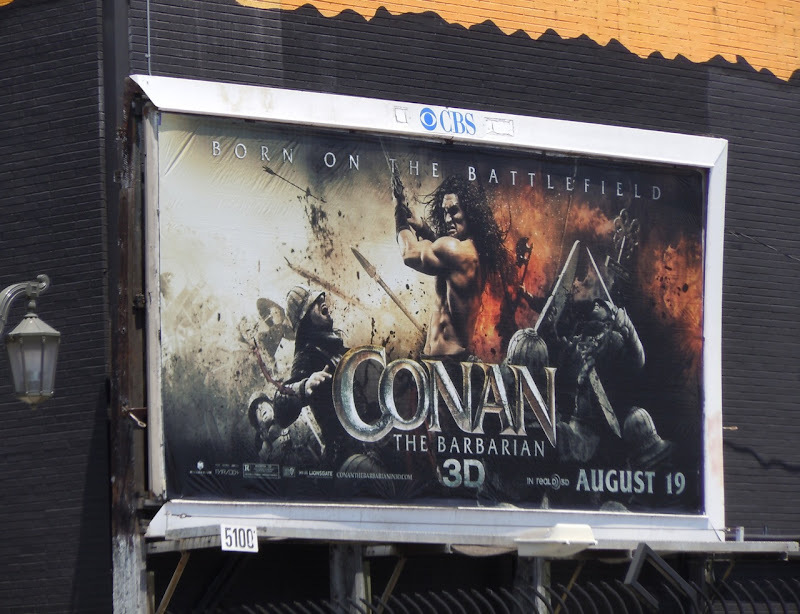 This fantasy movie billboard was snapped along Hollywood's Highland Avenue and Melrose Avenue on July 28, 2011. 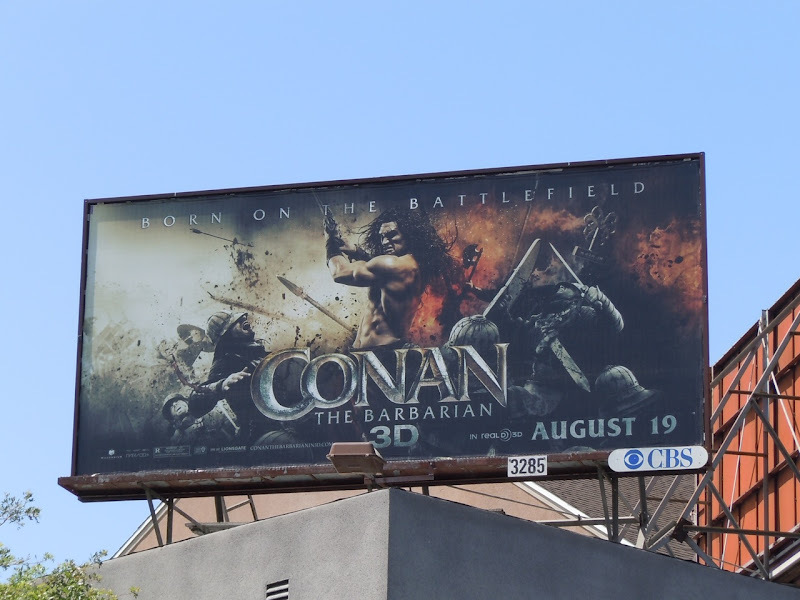 If you're a fan of Conan, be sure to check out these props, costumes and models from the new and original Arnold Schwarzenegger Conan the Barbarian movie.